Oil-rich Brunei’s absolute ruler marked 50 years in power on Thursday, October 5, with opulent celebrations including a glittering procession through the capital on a gilded chariot. Sultan Hassanal Bolkiah, 71, is now the world’s second-longest reigning monarch, after ascending the throne in the tiny northeast Borneo nation in 1967. 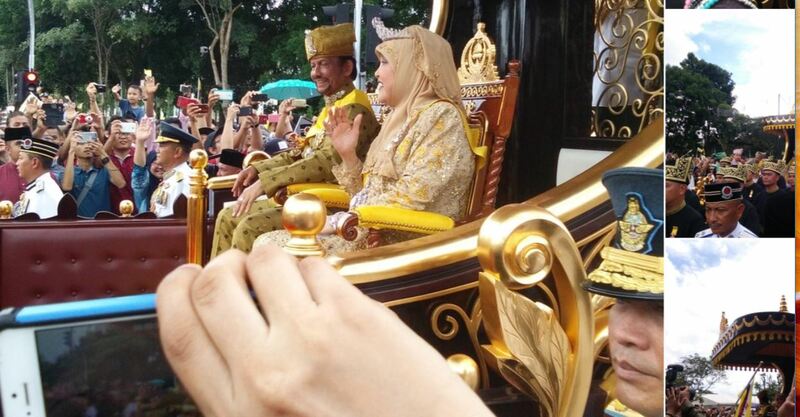 Dressed in gold brocade, the sultan entered the capital, Bandar Seri Begawan, with his wife, Queen Saleha, and their children on a carriage pulled by 50 members of the royal household clad in traditional black and gold woven cloth. A military band led the five-km (three-mile) procession, which was greeted by more than 80,000 well-wishers, some of whom had arrived as early as 5 AM to secure a good spot.